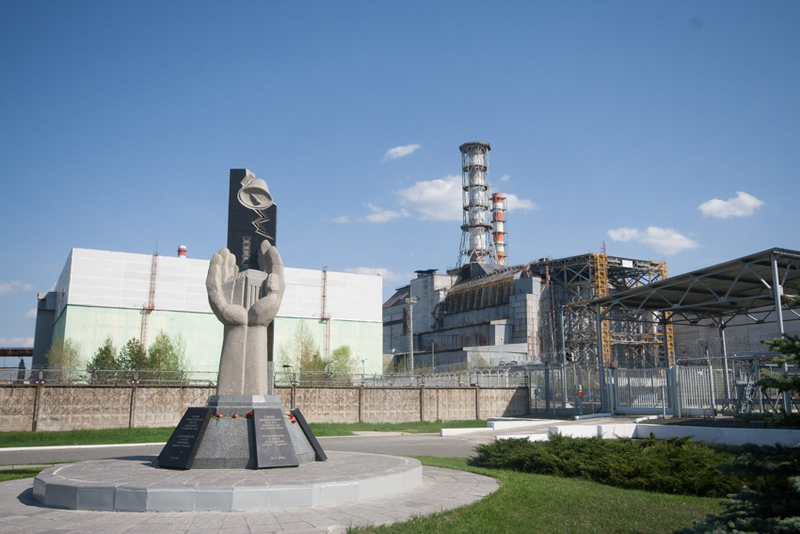 The reactor that blew it's top April 26, 1986. This is where it happened. This is where one of the world's worst nuclear accidents occurred. Right there, on the right side of the picture. Although many are still saying the Chernobyl event remains the worst, some new estimates believe that Fukushima may be 50 - 100 times worse, at a minimum. Lens Correction filter, Photoshop - (notice in before the monument and structure at right are falling backwards).